Jones explains how his journey started unexpectedly: after first studying dance at Purchase College, in New York City’s northern suburbs, he decided to switch his focus to journalism and sociology and complete a semester studying abroad in Cairo. 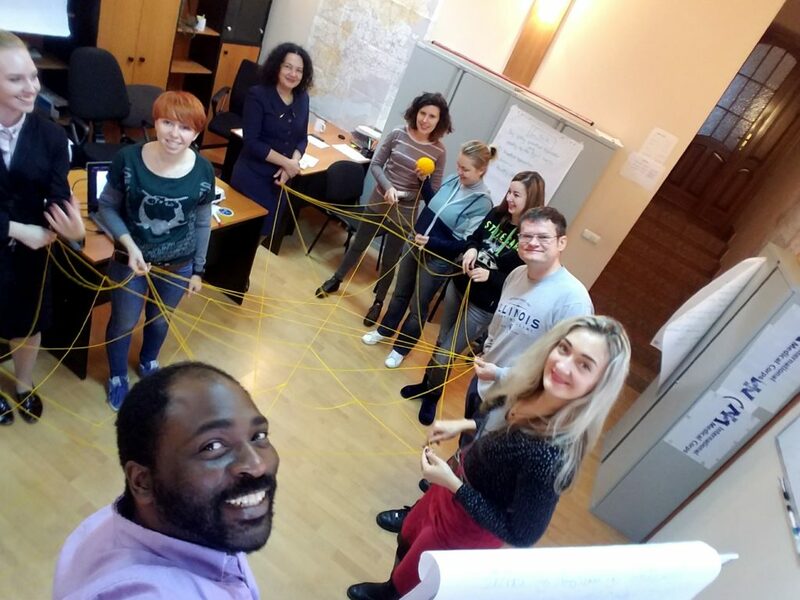 While there, he volunteered with St. Andrew’s Refugee Services, StARS, whose goal was to meet the unaddressed needs of migrants flowing into the Egyptian capital from elsewhere in Africa and the war zones of the Middle East—places like Iraq, South Sudan and Somalia. After graduating with dual degrees in journalism and sociology, he moved briefly to Latin America, teaching English and volunteering to work with street youth in Ecuador and Peru before returning to the U.S. to do similar work on the streets of New York City, his hometown. There, he supplemented his teaching job by joining the ASHOKA Changemakers program that encourages youth from underserved communities to become community leaders and implement sustainable, youth-led, social venture projects that create positive change in their communities. In 2010, he became part of the massive relief effort in Haiti following the 2010 earthquake there, which claimed nearly a quarter of a million lives. After serving there with an Irish NGO organizing psychosocial support activities for orphaned children, he returned to New York, working with the city’s homeless population, establishing support groups, teaching what he called “daily living skills” and administering support programs for those struggling to cope with substance-abuse issues or mental illnesses, including schizophrenia and bipolar disorder. Andrew Jones and the International Medical Corps Child Protection/Mental Health/Psychosocial Support team he leads. His love of Cairo would eventually call him back, but this time working with STARS’s Unaccompanied Youth Bridging Program (UYBP)—a specialized education and psychosocial program for unaccompanied children and youth designed to reinforce positive relationships, increase confidence and self-reliance, reduce isolation and provide bridges to meaningful activities. Jones’ task: increase access for those caught in the unrest to a number of quality services, including child protection (CP), gender-based violence (GBV) prevention and response, and psychosocial support services (PSS). The program he managed offers support to those living in both government- and non government-controlled areas. During the 9-month period between May 2017 and February 2018, our teams helped nearly 3,800 individuals, including more than 100 who had been forced to flee their homes elsewhere and live as internally displaced persons, or IDPs. International Medical Corps Child Protection/Mental Health/Psychosocial Support team discusses positive parenting during a psychosocial support session with beneficiaries. 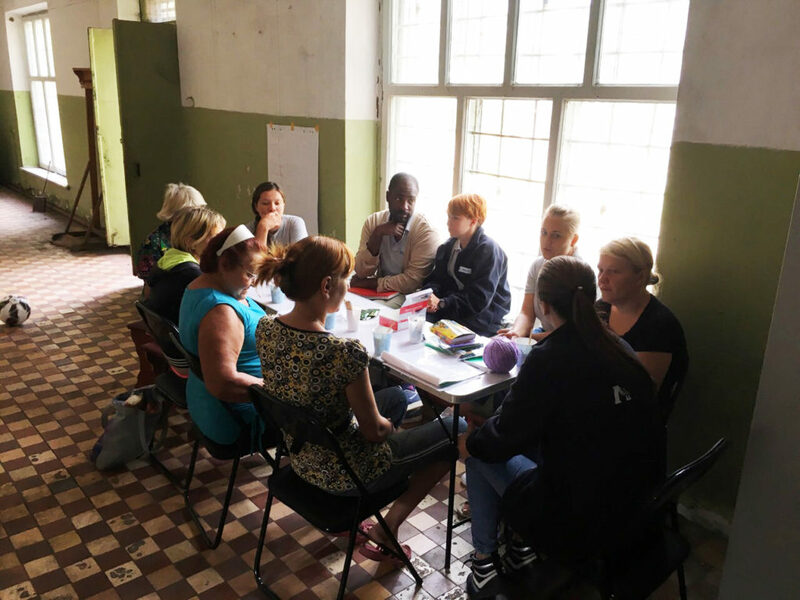 International Medical Corps’ team in the Ukraine also employs community outreach workers—often teachers or librarians whose lives are anchored in the community where they live and work. They can help identify those who need assistance, organize community-based recreational activities or simply explain the work of International Medical Corps to village residents. Jones also cites another advantage that International Medical Corps enjoys in the mental health field: the acknowledged quality of its work.